Horses and ponies that are not demanded much performance, need a preferably versatile, but also natural and tasty food. MykoHorse is a high-fiber and easy to manage compound feed for all leisure and sport horses, that should always have a low-protein supplement, on the compound or in the stable. 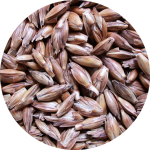 The cereal, the organic medicinal shiitake mushroom, red rock alga, as well as camu camu are natural sources for vitamins B1, B2, C, D, E, ferric, zinc, copper and calcium. The unique combination of the individual ingredients makes the product so interesting and recommendable for the relief of joint problems and the maintenance of the mobility of your horse. 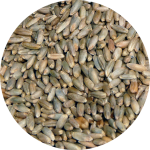 We offer a unique food supplement for horses in pellet shape, which can be permanently added to the food or feed as treats. 2 cups (= 100g) per day, administered morning and evening, before feeding. First successes can be achieved about a month after the primal addition. In case of acute problems, the addition can be doubled for a month. MykoHorse is applicable and recommended daily for an unlimited period of time. This supplement feed can contribute to the well-being of your horse. Food supplements are no replacement for a well-balanced diet. 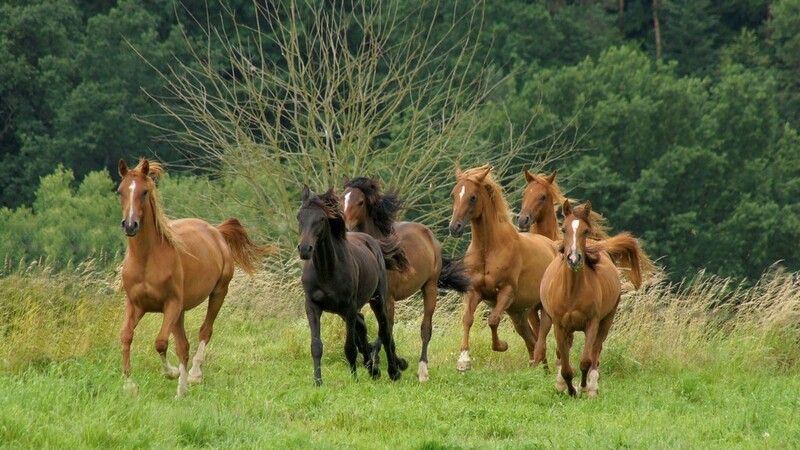 MykoHorse, added to the regular feed, can cause an improvement of mobility and well-being of your horse. Medicinal mushrooms verifiable possess active substances which contribute valuably to health-maintenance through strengthening the whole organism. Central is here the restoration of the so-called homeostasis – mundanely said, the equilibrium of the whole organism. As there is hardly any substantial difference between the human and the animal organism, recently a lot of veterinarians and alternative animal health practitioners have acquired myko-therapeutical knowledge and accordant practical experiences. We at MykoHorse have developed a product which in composition and dosage form meets the special needs of the horse organism. Natural Vitamin C in highest bioavailability contributes to a healthy functioning of the immune system and to a normal production of collagen in blood vessels, bones, cartilage, gums and skin. 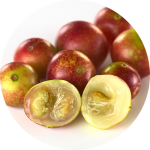 Camu-Camu contains 30 to 50 times more vitamin C than oranges or other citrus fruit, ten times more iron, three times more niacin, twice as much riboflavin and 50% more phosphor. 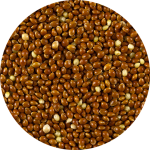 Besides it is rich in beta carotene, potassium, calcium, bioflavonoids, antioxidants and amino acids. No other fruit in the world shows such a high concentration of secondary phytochemicals. It is antioxidant, astringent, soothing and nutritious. The Shiitake has been used in Asia for more than 3.000 years. The mushroom contains an exceedingly complex variety of biological ingredients. 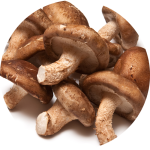 Besides the group-B-vitamins, which are essential but usually don’t occur in plants, Shiitake contains ergosterol (provitamin D). Furthermore, it includes minerals like potassium, calcium, phosphorus, as well as iron and zinc. Also 7 of the 8 for humans’ essential amino acids are contained. The bioactive ingredient eritadenin has also been verified. The physiological nutritional value of the shiitake has been rated as „very high“; you should consume this mushroom in whatever form on a regular basis. Many don’t know that the shiitake also has antioxidant qualities. It can be active for protection against free radicals, as their „catcher“ in the blood and also stimulates the self-healing powers of the horse. Compared to other anti-oxidants that are offered, shiitake has a very high effectiveness. 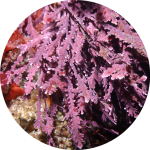 Red stone-alga – a precious source of calcium and magnesium needed for the preservation of bones and teeth. 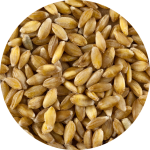 Browntop millet, einkorn, rye, spelt–four grain varieties in unique quality. They supply i.e. silicon, essential amino acids, iron, magnesium, zinc, manganese and group-B-vitamins in highest bioavailability.